powered by AI, driven by people. Thank you for attending HR at Think 2019! We hope you found the four days to be packed with insightful content, informative demos, captivating stories, and educational networking. Follow the link below if you would like to download any of our other breakout session content, PDF versions of the presentations are available for most sessions. 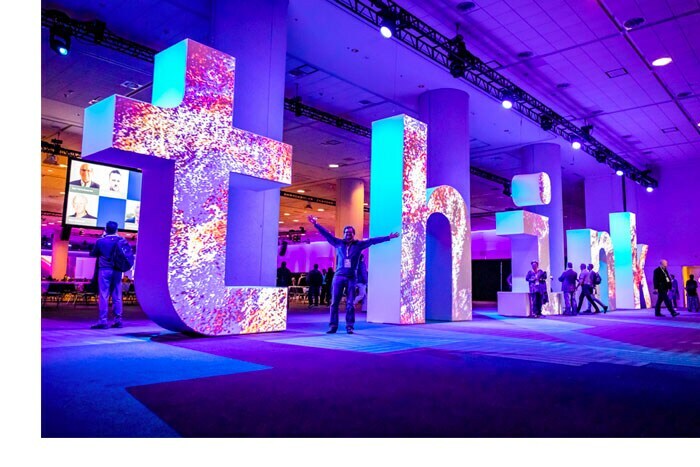 We look forward to seeing you at Think 2020 set to take place May 4th-7th in San Francisco! Organizations with at least one registrant at Think 2019, purchasing any IBM Talent Management Solutions (TMS) offering or adding additional capacity to their existing TMS service may qualify for a reduction of up to 20%, not to exceed $10,000.00 USD, when completing the purchase before March 31, 2019. HR Exchange at Think 2019 presentation by Mark Foster, Senior Vice President, IBM Services and Global Business Services. HR Exchange at Think 2019 presentation by IBM CHRO Diane Gherson with guest Carol Surface, CHRO of Medtronic. HR Exchange at Think 2019 presentation by Amy Wright (IBM Talent & Transformation), Erica Koenig (UnitedHealth Group) and Mary Finch (AECOM). HR Exchange at Think 2019 presentation by Bob Schultz, General Manager, IBM Watson Talent & Collaboration Solutions. HR Exchange at Think 2019 presentation by Deb Bubb, HR Vice President and Chief Leadership Learning & Inclusion Officer, IBM. Host Tina Marron-Partridge (IBM Talent & Engagement) with talent experts from The Weir Group, Ernst & Young LLP, and Banfield Pet Hospital.